John Killacky is Our Latest Featured Speaker! Our latest featured speaker is John Killacky, Esq. of Momkus McCluskey LLC! John is experienced in litigation and transactions, and will speak at our Federal Court Boot Camp in Chicago on April 6, 2018. We are happy to have John speak for us again. He was on the Chicago panels for our Advanced Litigation Techniques seminar, and our 7th and 8th Annual Federal Court Boot Camps. Attendees appreciated his effective use of personal experiences in the cases presented. 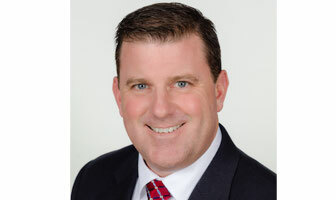 Before joining Momkus McCluskey, John spent over eight years as General Counsel and Deputy General Counsel of a publicly-traded property and casualty insurance holding company. While in-house, John oversaw a number of high-stakes litigation matters and guided the company through several large M&A and financing transactions. John also served as the company’s Privacy and Chief Compliance Officer, charged with ensuring compliance with SEC and NASDAQ regulations, state insurance laws, Gramm-Leach-Bliley and other requirements. John has substantial experience providing practical legal and business advice to clients on a variety of substantive issues. Prior to working in-house, John was a litigation partner with a large international law firm where he gained first and second chair trial experience in commercial, securities, employment, products liability and other complex litigation matters. John has considerable experience conducting internal investigations and has also represented clients responding to subpoenas and investigations by government agencies. John was also a partner with an entrepreneurial litigation boutique in Chicago. In addition to his litigation practice, John provides insurance regulatory and corporate transactional services. Before pursuing a career in law, John attended the United States Naval Academy and served for five years as a surface warfare officer.